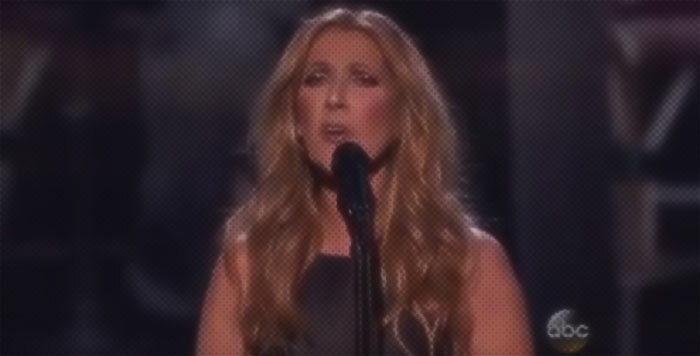 Diva Devotee: Celine Dion Pays Tribute To Paris Victims With Emotional Rendition of "L'hymne à L'amour"
Celine Dion Pays Tribute To Paris Victims With Emotional Rendition of "L'hymne à L'amour"
I wouldn't feel right commenting too harshly on Céline Dion's rendition of L'hymne à L'amour at 2015 AMAs. It wasn't perfect, and was definitely pitchy, but this was about more than notes and vocals; it was about sending a message of unity to those who have, and are still, suffering with the aftermath of this month's terrorist attacks in France. It was a simple but touching and honest tribute. I wouldn't expect anything less from Celine.